i spent most of the morning making things...just as i had wanted to. what things did i make? mostly earrings! 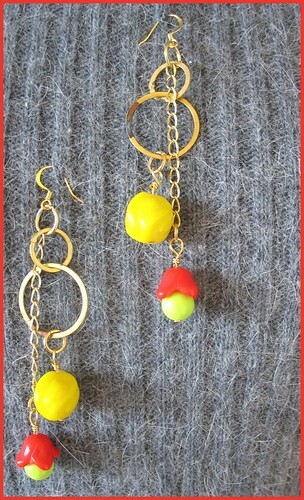 it has been quite a while since i have made any jewelry...i have about a billion beads sitting around, collecting dust. i figured it was about time that i did something with them. what you make it (that great DIY zine by melissa stajda) goes live TONIGHT!